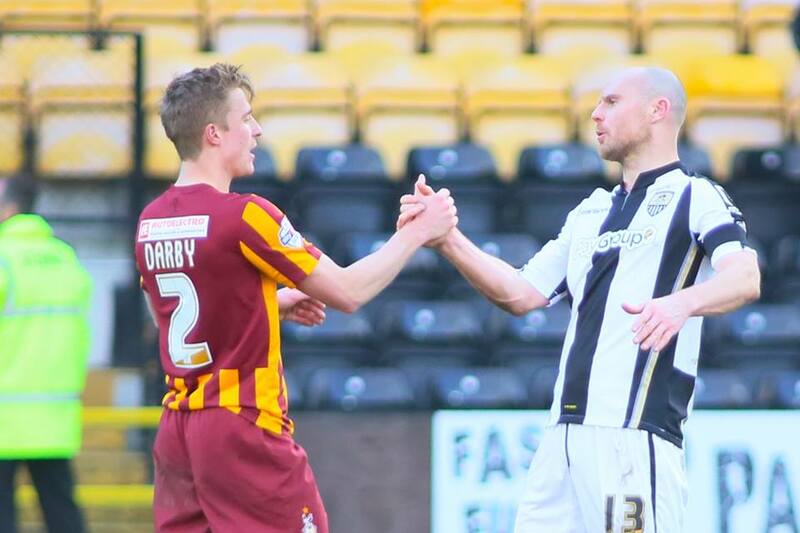 The dreadful news about Stephen Darby’s health has rocked everyone connected with Bradford City. At a time of debate about what the club stands for and the values we supporters believe it should live by, Stephen Darby is the perfect embodiment of all that is wonderful about Bradford City. Every standout moment the club has enjoyed since 2012 has included Stephen Darby, providing the foundations and bedrock of success. And since his departure in the summer of 2017, Darby has been missed. As fans we cannot pretend to comprehend just what he and his family are going through, and there is a feeling of powerless of how we can help. But like a lot of others, we want to do something. So we’re pleased to announce a special evening designed to raise money for the Motor Neurone Disease Association . We had originally planned a launch night for my new book, Who We Are, but the focus has been shifted onto Stephen Darby. A range of well-known personalities with deep connections to the club have agreed to attend as part of a Q&A session, where they will reflect on their best memories of Bradford City, and underline what the club means to them. And we’ll celebrate the career of Stephen Darby with stories from his former team mates. The evening will be hosted by Jason Thornton (Bradford City commentator for Pulse Sport). Tickets for the event are priced at £10 and are now on sale from the Bradford City official website. All proceeds will go to the Motor Neurone Disease Association. There will also be collections on the night. Subscribers of the new book, Who We Are will be able to collect their copy on the night. If you would like to pre-order a subscriber copy of Who We Are, you can do so by going here and following the instructions. Who we are: Exploring the DNA of Bradford City AFC, tells the story of what makes City unique and features interviews with more than 50 people connected to the club, including Paul Jewell, Stuart McCall and Gary Jones. The book is non-profit. A first review of the book, by John Owen, can be found here. Sadly I can’t make it (Tuesday night’s are tricky for long distance fans) but I’d like to contribute anyway. If you do run an auction can you see if there is a way to bid remotely ? Do you have a limit on ticket numbers – I’m happy to buy one and not use it but didn’t want to potentially take one away from someone who would be able to go ? Thanks guys. We will look into this and let you know. Same thoughts here as well, from across the pond. Also, is there any chance of streaming it live or even viewing the night via Skype or What’s App etc? It’d be great to see the evening and donate some money?